1. 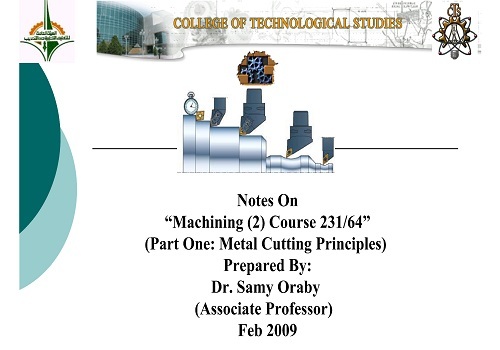 Elements of Cutting Process. 1. Characteristics of Tool Materials. 2. Types of Tool Materials. 4. Tool Wear and Tool Life. 1. Oblique and orthogonal Cutting. 2. Shear Mechanism and Chip Motion. 3. Speed and Force Diagrams.